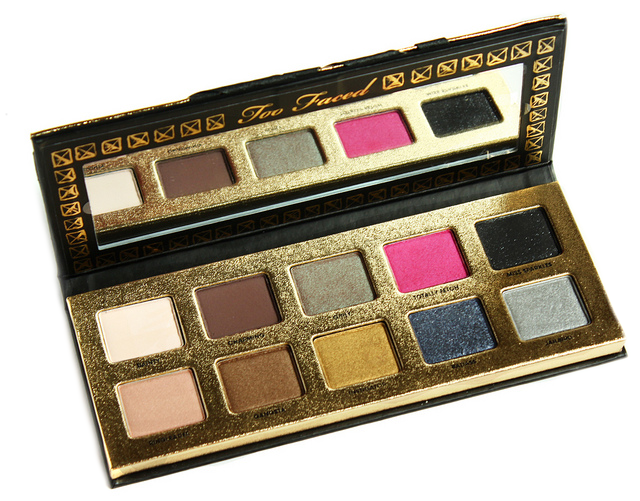 If you love jewel toned eyeshadows, then you need to check out Too Faced's Pretty Rebel Eyeshadow Palette. This chic palette houses ten brand new eyeshadow shades that come in a variety of colors and finishes. The shadows in the Pretty Rebel Eyeshadow Palette range from neutrals, to a couple of colorful hues that will definitely add a fun flair and colorful pop to an eyeshadow look. 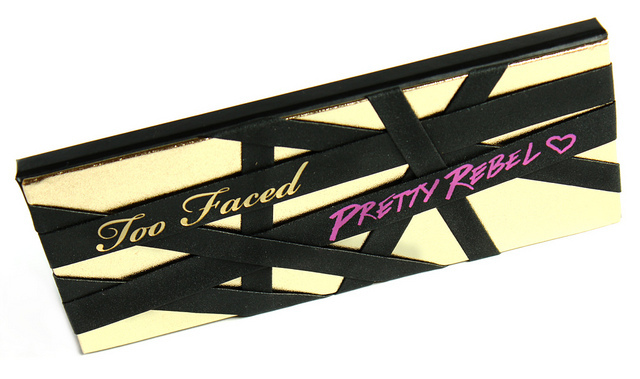 Too Faced Pretty Rebel Eyeshadow Palette-I Am Loving The Exterior Of The Palette! 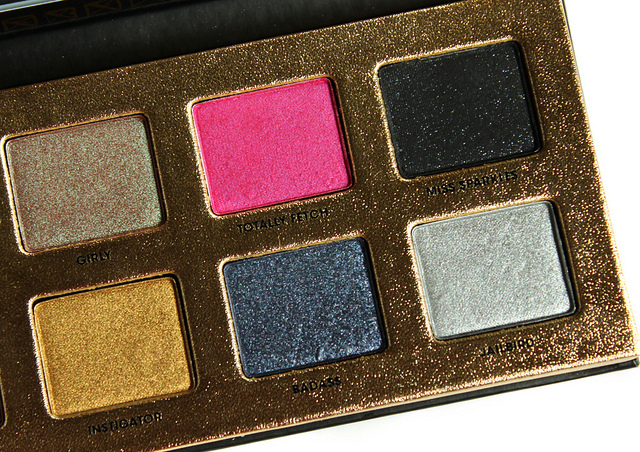 I honestly think that every single one of the eyeshadows in the Pretty Rebel palette are just all around amazing. There is a reason why Too Faced eyeshadows are among my most favorites, and these are no exeption. 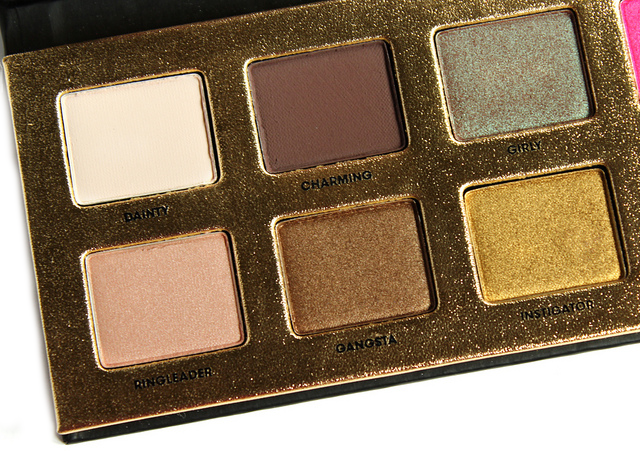 The eyeshadows in this palette are smooth to the touch, super pigmented, and they blend like a dream. My favorites are ringleader, gangsta, miss sparkles, jailbird, and of course girly-that pretty olive/brown duo-chrome is really something special. These eyeshadows go on nicely and they are easily buildable. I did experience a bit of fallout with the two glittered shades-miss sparkles and badass. But, I kind of expect that when it comes to eyeshadows with glitter in them. In order to minimize the fallout, I tap on the shadow instead of swiping it on, which helps a nice deal. 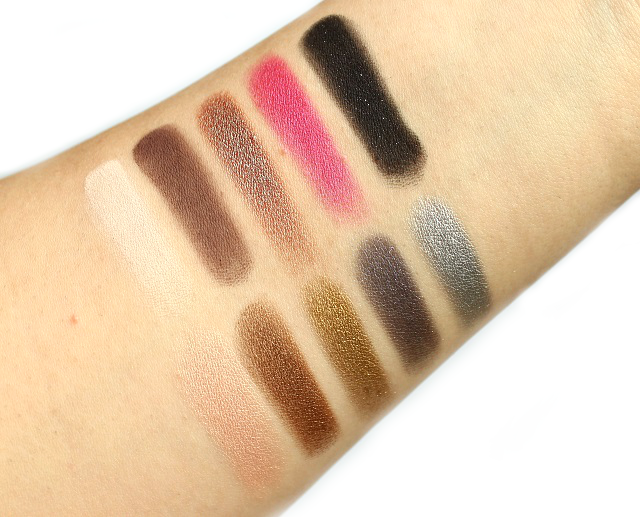 The colors in the Pretty Rebel palette are wonderful for creating an array of different eyeshadow looks. One can easily do a more muted daytime neutral look, as well as a sultry and smokey one for night. The options really are endless! As for lasting power, over an eyeshadow primer these shadows hang on all throughout wear time on me (about 8-9 hours), with very little fading by the end of the day. Ever since I first got this palette, I find myself having a hard time putting it down. These eyeshadows have become my new staples and I think my obsession with them is going to last well throughout the fall and winter months, and beyond. 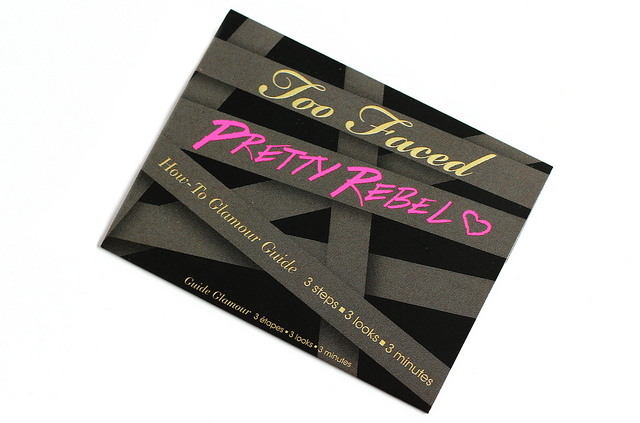 I give Too Faced's Pretty Rebel Eyeshadow Palette 5 stars, and I can't recommend it enough if you are on the lookout for an eyeshadow palette that has a lot of fun and variety. 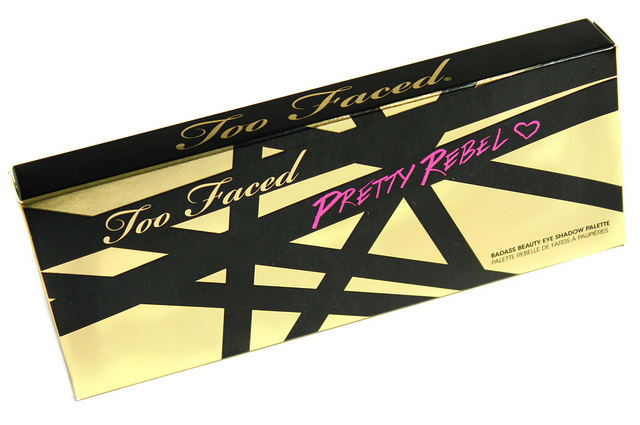 What do you all think of Too Faced's Pretty Rebel Eyeshadow Palette?